Have you recently said or done something that was hurtful to your significant other? Maybe you did not even notice that you hurt them and so didn’t apologize. Upon reflection, you now feel terribly sorry for what happened. Apologizing to someone you love after you have hurt them can help keep the both of you emotionally connected. You can express your feelings of regret by writing an apology letter. This helps heal the hurt and give your partner space. Here are examples of "I’m sorry" letters you can try. I uttered very hurtful words. The moment the words slipped through my lips, I knew there was no way to take them back. You were totally justified to react the way you did. I’d have reacted the same way if someone I loved said the same things to me. 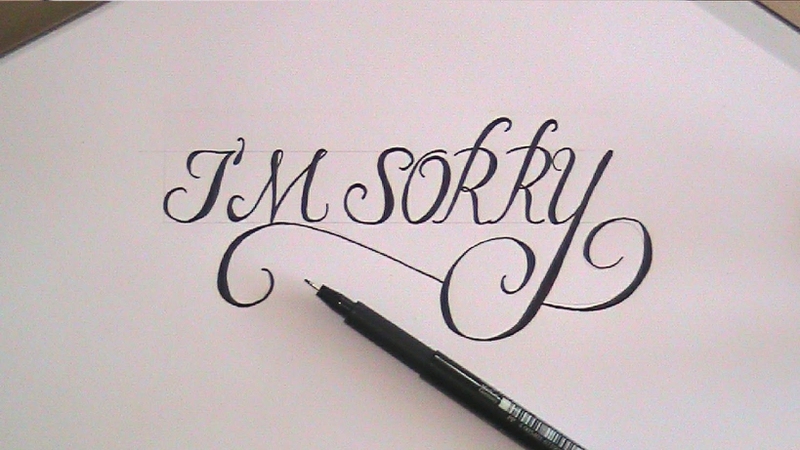 Saying sorry doesn’t really convey the heaviness and regret in my heart. How could I be so insensitive? You’ve suffered a great deal as a result of my actions and I’m asking you for forgiveness. You might find it hard to believe that I’m sorry given how cruel I might have sounded. I have learnt from my mistake and I’ll never put you through this kind of situation again. We have worked through many challenges in our relationship and I hope this one will make us even stronger. I believe in our love, and I love you. We have built each other up and forgiven each other countless times. I hope you’ll forgive me this time round. May the love that we have for each other help to heal the wound caused by my mishap. I thank God every day for giving me you. I cherish the moments we spend together and the long walks in the park while holding hands. I love you. I have planned a trip to the desert for both of us this weekend. I hope it’s not too much to ask, but I thought it would be an ideal place for me to atone for my indiscretion. If you will come along with me, it will be a great opportunity to bury the hatchet and start anew. Would you be willing to give it a try? Please give me another chance to prove my love to you. The memories replay in my head like a broken record. Here I sit watching the still water and the sun behind the clouds – it’s beautiful. But it still feels empty without you. I miss you every day, write you "I'm sorry" letters every day and wish you happy every day. Thinking of you is a barrage of endless torment. I love you so much, but I cannot be with you. I wish you the best. Fall in love. Be happy. It’s all I ever wanted for you. I know I did you wrong, but I never meant to hurt you the way I did. You’re still one of the best things that ever happened to me. You’ll always be in my heart and I’ll take your memories with me wherever I go. I’ll love you from afar since it makes me stronger and will remind me to be a better person than I was. You were my light when I stood on the edge of darkness. For this, I’ll be forever grateful. Thank you for everything. For the laughter, for the love, and for the lessons learned. Thank you for trying… Even if we weren’t meant to be, you gave me a reason to believe in love. If I could go back to that point when we first met knowing I’d end up here, I’d still choose you. You mean the world to me. It’s goodbye for now, my dearest. Even in silence you’ll still be in my thoughts. I still love you… I always have and always will. I simply have no words to express the depth of my feelings. I’m plagued by guilt, regret and sadness for the wrong I’ve done you. I broke your trust and hurt you deeply while you had given me your best. I’m sorry – a thousand times over. I know I can’t take back the hurt and can’t undo the damage caused. I regret my actions. Cheating on you is an unforgivable mistake and I totally deserve the resentment and anger. Guilt burns deep in my heart as I think of the hurt you must feel as a result of my recklessness. Every time I think of you, I shudder at the thought of the pain you must have felt when you learnt of my cheating. Despite all that’s happened I still love you. I know it’s hard to comprehend how I can love you and hurt you the way that I did, but I do. This is why I took the time to write these "I'm sorry" letters. Otherwise I’d not have cared at all. I wish I could wipe away your tears and feelings of betrayal. I still care about you with all my heart and I hope we can be happy again with me by your side. I know I have no right to ask anything of you after what I have done. But if you can find it in your heart to forgive my indiscretion I would be eternally grateful. Give me another opportunity to prove to you just how much I love you. I will do my best to take back our relationship to where it used to be. I still love you - the same way I did when I first laid eyes on you. I believe we can overcome the odds and make this work. I can do better. We can be happy together once more. Give me another chance.